From the Greek ‘Poly’ (= many) and ‘stichus’ (= row), referring to the rows of sori. 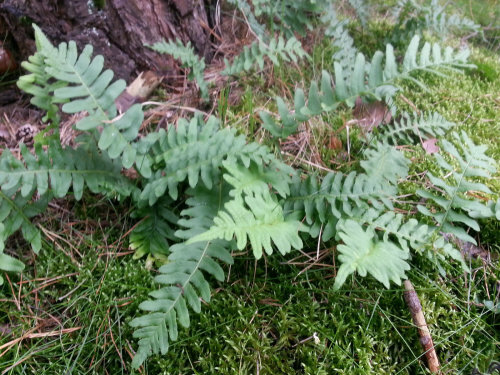 A large genus of evergreen ferns that are of great value to the gardener. They are used in rock gardens, borders and as background foliage. They are also highly effective in woodland plantings. They are generally very easy to grow, preferring moist, well drained soil in shade or part shade. The fronds persist well into winter; the stems are strengthened so cope well with winds. Polystichum setiferum and its cultivars are especially tough and adaptable and make great landscaping plants.